Why Retain a Private Employment Lawyer? Wrongfully dismissed or suffering from harassment in the workplace? You may be wondering whether finding a lawyer is necessary. You wouldn’t be alone- in an age where the internet is bountiful with information on just about anything, more litigants are going the “do-it-yourself” route. Many employees or managers attempt to deal with negotiations surrounding employment matters personally before involving a lawyer, after all, it is only a negotiation, isn’t it? Sadly enough, often these parties end up hurting their positions when eventually legal representation gets involved. So why would you retain a lawyer? Well, there’s many reasons. This may be the most obvious benefit. A lawyer has gone to law school and if you pick the right one has extensive experience in the area. He or she knows their way around the law and will be able to help you navigate your case through the necessary processes. Many areas of law are very specialized and therefore require someone who concentrates in the area. For instance in labour and employment law the case law is constantly changing and a ‘legal generalist’ might almost be worse than no lawyer at all. The steps to submitting a claim are intricate and involve time constraints and strict policies. A lawyer is aware of these aspects and can assist you in avoiding any problems in this area. The process to becoming a legal professional takes a long time- it cannot be done in several hours. While you may be able to conduct an online search regarding what a Statement of Claim should contain, without legal experience, you would not know what specific areas to focus on to make your case more persuasive to a judge and the opposing side. As someone who is educated on the law and experienced, a lawyer can examine your case, compare it to similar cases and established legal precedent, and give you an idea of what will and won’t work in terms of argumentation. They can also give you an estimate of what your chances of success are in a court of law. 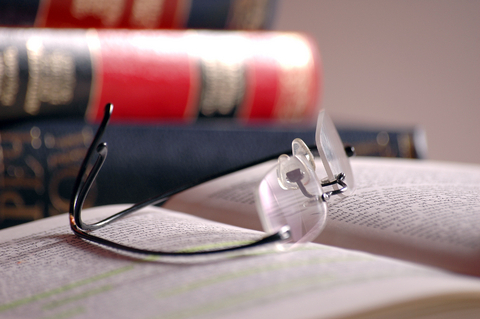 The legal process involves intensive information processing. A major part of that is legal research, which is paramount to building your case. Typically, lawyers and their firm have a team which work on your case and process the necessary information. Self-represented litigants, on the other hand, do not have this advantage. A one or two person team can take considerably longer to sort through a stack of cases or documents- and they may not be aware of what is and isn’t relevant. Saving time and effort is important and beneficial given the stress associated with litigation. By retaining a lawyer, you’re getting a trained professional who will assist you every step of the way. You will still get a say in the process and will have an opportunity to review documents before they are sent out. A lawyer will also advise you on what is the best route to take, but in the end it will be your decision. All Lawyers in Ontario are protected by malpractice insurance. This means when you hire a lawyer for an opinion, or to do a legal claim for you, that if that lawyer makes a mistake that you are covered by their insurance. In fact, the way to effectively get yourself insurance regarding your claim is to hire a lawyer, whose fees include the insurance regarding your claim. If something goes wrong, or you get bad legal advice, you are covered under malpractice insurance. Legal advice relating to your job or your small business is critical to your happiness. And you deserve to have those issues handled with the utmost care. Don’t take any chances- let an expert concentrating solely in employment and labour law help you to achieve the best result possible.